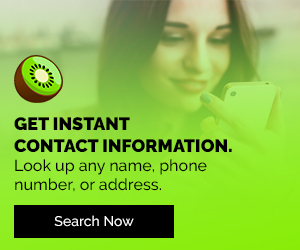 Everyone knows how much computers, the Internet, social media, and smartphones have changed the way we communicate and socialize. But not everyone understands how much playing video games has done the same. 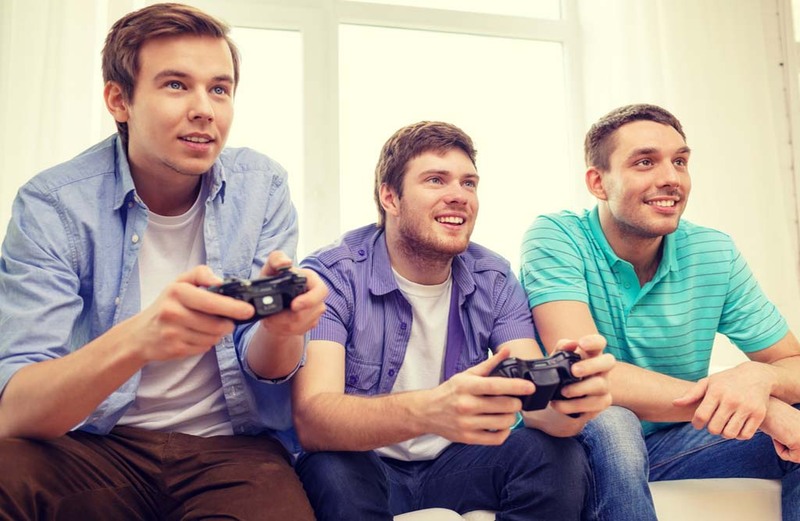 Playing video games (on consoles or PC) has been a favorite pastime of many kids, teens, and adults for decades now. However, what was once deemed a hermit-y habit changed when multiplayer came about. Now, millions of gamers are enjoying playing their favorite video game with friends and strangers all over the world, but it seems none more than those playing Battlefield 1. 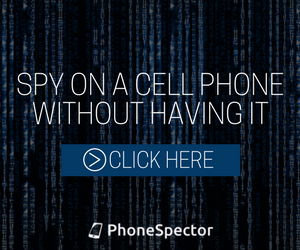 For years, playing a video game often involved one person playing solo against a preprogrammed intelligence. If there was more than one person in the house, they had to wait for their turn to play. It was always fun for the player and still enjoyable for those who had to watch and wait. Eventually co-op/multiplayer modes came about. These modes allowed for several players to play together as a team or against each other from the comfort of one’s couch or from across the globe. Couch co-op provided friends and family members with hours of fun as they drove, jumped, fired, flew, kicked, shot, etc. through game after game via split screen on one T.V. and console. It allowed them to laugh, talk, and trash talk their way through Madden NFL, Mario Kart, Halo, Call of Duty, and more. The rise of high-speed Internet took those games to another level, letting gamers play with and against multiple individuals from all over the world. As video game technology became more sophisticated, so did the experience. In my humble opinion (or as everyone online says, “IMHO”), EA’s/Dice’s Battlefield 1 is the epitome of cooperative gameplay. Its state-of-the-art design, game mechanics, and reward system allows for the best strategic gameplay around. And it’s a huge hit with gamers of every age from all over the world. According to an IGN review, which came out when BF1 was released: “Battlefield’s formula for large-scale, objective-driven warfare is as intense and theatrical as ever against the haunting, archaic backdrop of World War I. Battlefield 1’s single-player campaign is a short but pleasantly surprising anthology of small, human stories that does a good job spotlighting some of the key technology of the era. What separates Battlefield 1 (and its BF predecessors) from other first person shooters (or fps to those in the know) is its expansive maps and realistic play. Unlike its closest competitor, the Call of Duty (or COD) series, BF1 is geared to a more relaxed mode of gameplay. COD games cater to the modern-day, ADD lifestyle of many smartphone using gamers. They promote a run-and-gun style of play through their ultra-fast character movements, small maps, and near-instantaneous respawns. 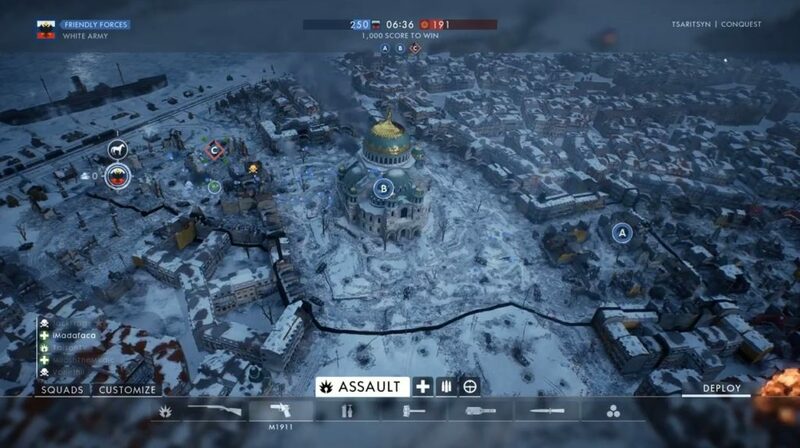 Tsaritsyn: One of BF1’s big and beautiful maps. 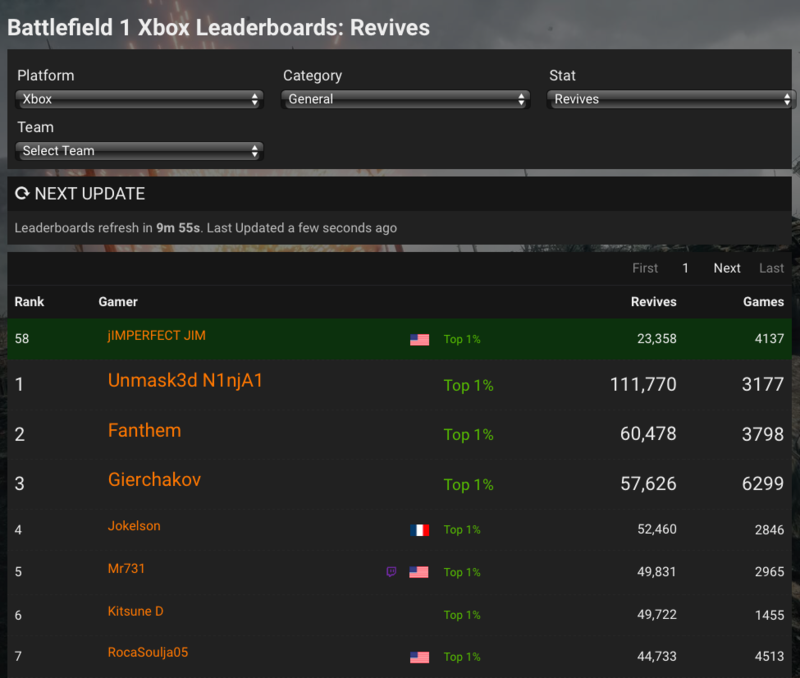 BF1 slows the shooting world down. Yeah sure, there are still many players just running and gunning and respawning right away, but the whole experience is still markedly slower than a COD game. It’s made for gamers who want to work together. It provides a fulfilling experience to those who strategize and run their class. With large, beautifully rendered maps, BF1 gives teammates time to plan and follow each other from one point to another without getting immediately shot upon spawning. Yes, spawn-deaths do occur, but really only when one picks a player who is already under fire or being targeted. Years later, when his son got older, Jim found himself getting back into video games. He started playing Nintendo Wii at first, because it was something that they could play together. They eventually graduated to the Halo franchise on Xbox as his son aged. 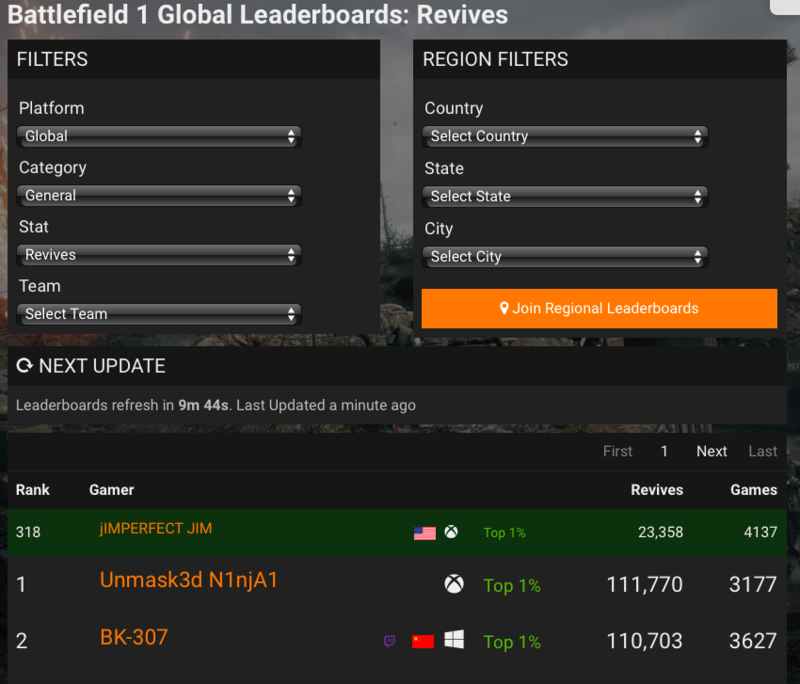 It should be noted that Jim’s Xbox ranking is in the entire world. That’s pretty impressive. 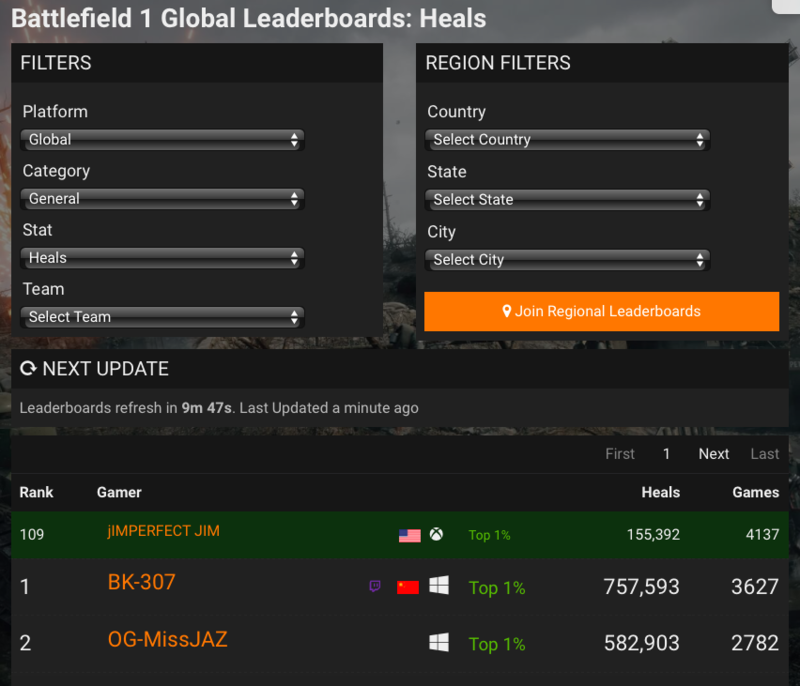 Even more impressive, is that across all platforms (Xbox, Playstation, and PC combined), he is currently #109 in heals and #318 in revives—that’s out of over 66,000 active players according to Battlefield Tracker. 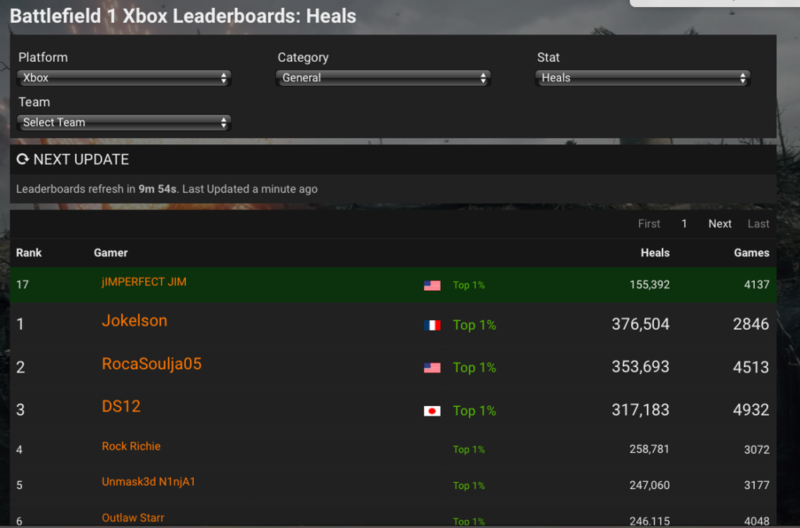 Note: While hacking does occur, it’s more rare on Xbox than on PC, where it’s easier to spot and catch a cheater. According to Jim, having a well-rounded squad illustrates exactly why Battlefield 1 is the best multiplayer video game around. 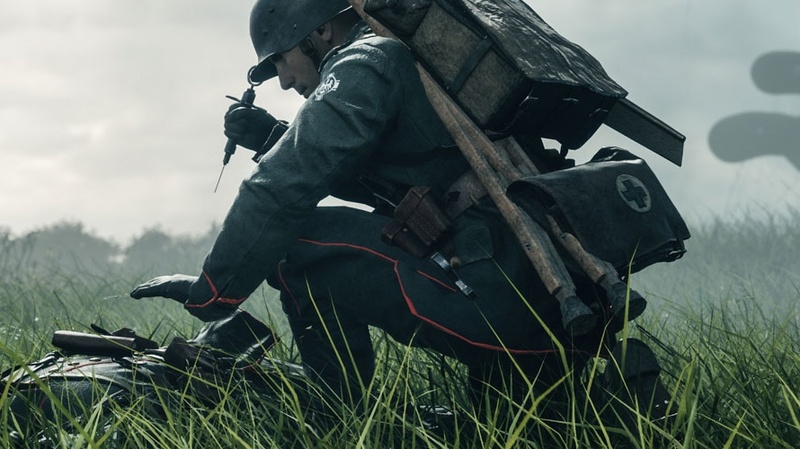 He believes that the ideal 5-man squad lineup—depending on the map—has 2 medics (carrying bandages and syringes), 1 support (supplied with an ammo crate), 1 assault, and 1 scout. If the map is big and flat (which cater to snipers), he recommends a second scout. Jim promises he will revive you—so don’t respawn right away in the video game. As for weapons, Jim is currently using the RSC for most battles nowadays, but switches to the Fedorov for close quarters. For longer range he goes back to the Mondragon. He wants it to be noted that his choice of using bandages over crates, and the weapons mentioned above, were all recommended by teammates throughout his time on multiplayer. 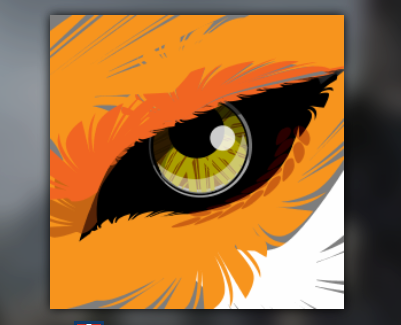 It’s not too late to join in the BF1 fun. Even though it was released over a year ago, the video game is still going strong. Dice spread out the release of the game’s premium DLC maps and is still doing so. The latest two maps came out at the end of January—and more are coming at the end of February with the Apocalypse expansion. Along with the new maps are new weapons and skins and subtle changes in existing maps. The developers continue to amaze and surprise regular players by adding new dialogue to soldiers who get shot, request help, or say thanks. Other things such as plumes of smoke in the background, planes flying overhead, and silhouetted figures appear in the video game where they once weren’t. And there’s a really cool and eerie alarm sound that occurs on one of the new maps, Zeebrugge. What a fantastic story ! Glad to be your teammate buddy ! Great Read, I have played against these guys and they are good. That is an impressive historical view.